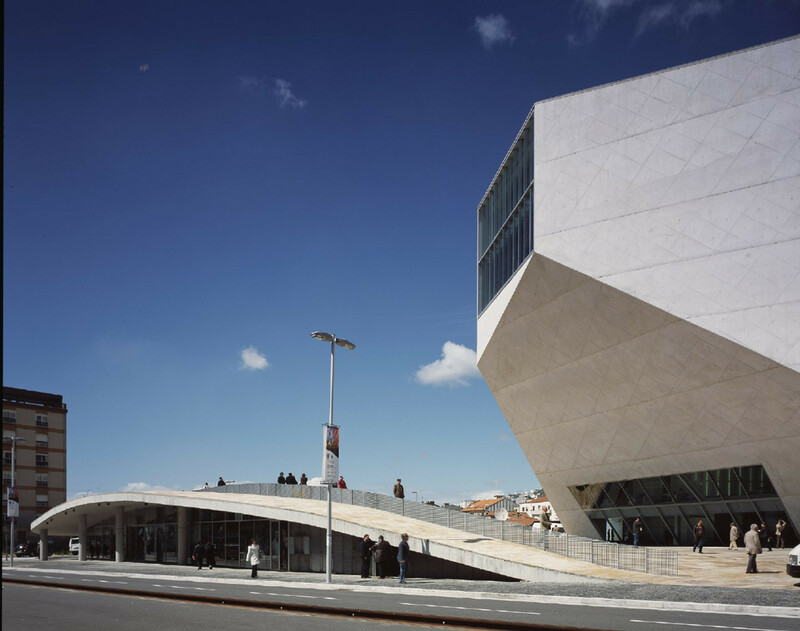 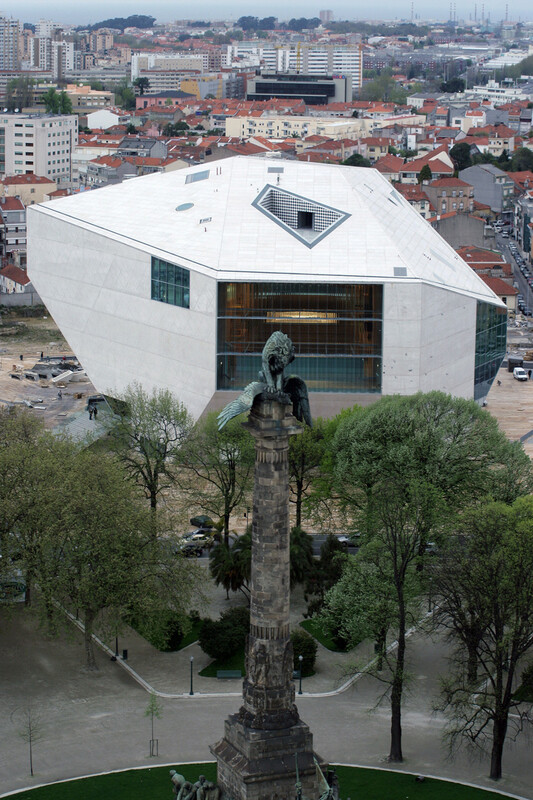 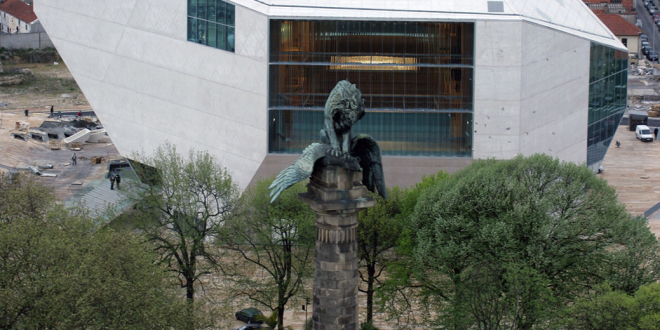 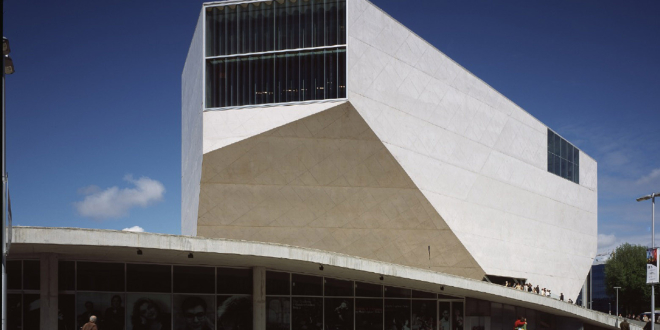 Casa da Música – House of Music is a major concert hall space in Porto, Portugal. 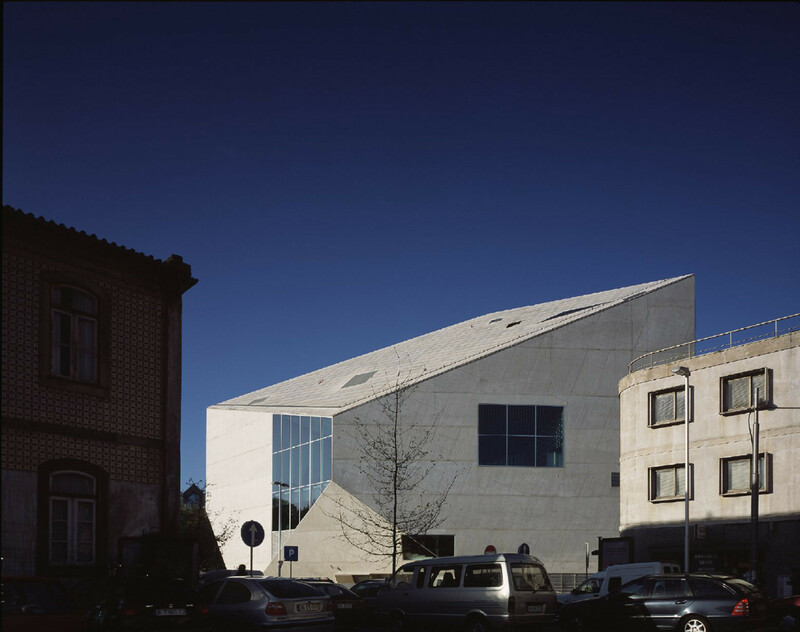 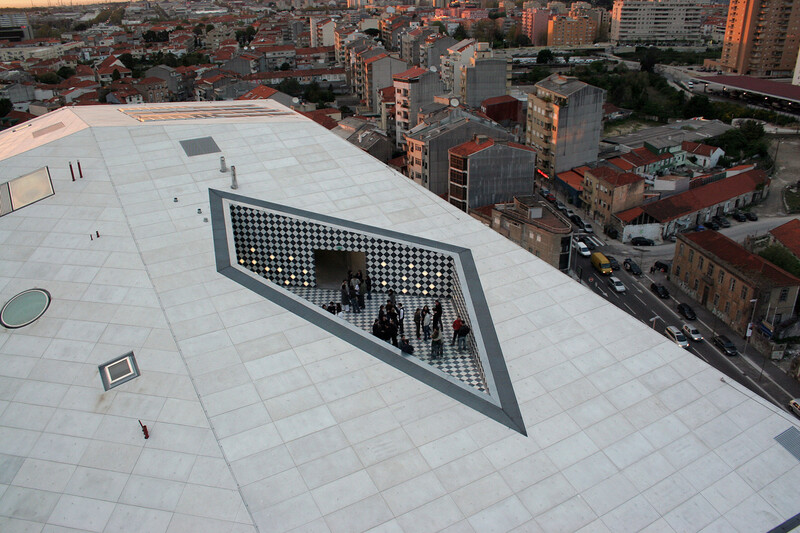 This irregular-shaped building was designed by world-renowned architect Rem Koolhaas and it was finished in 2005. 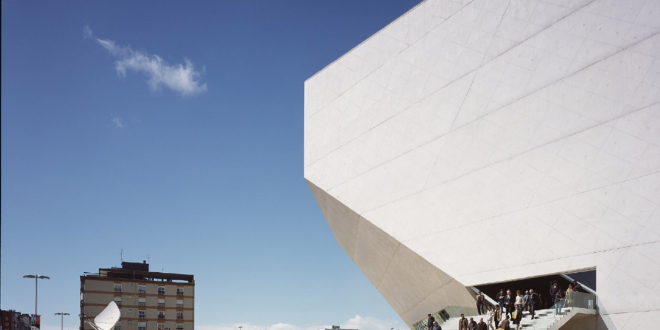 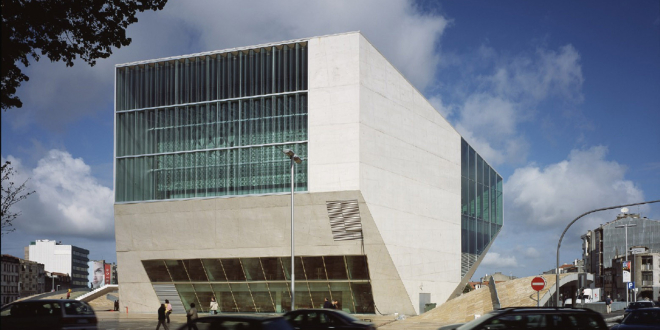 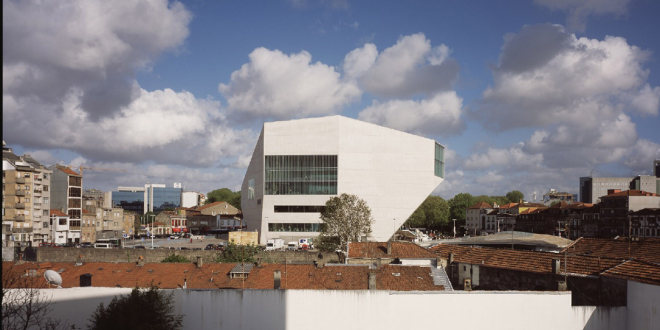 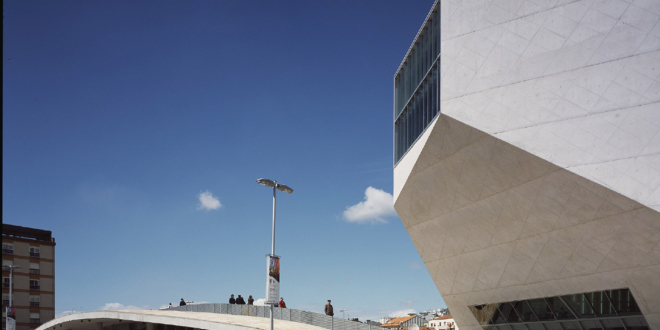 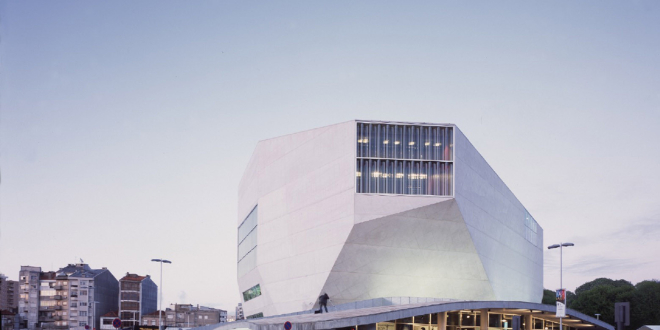 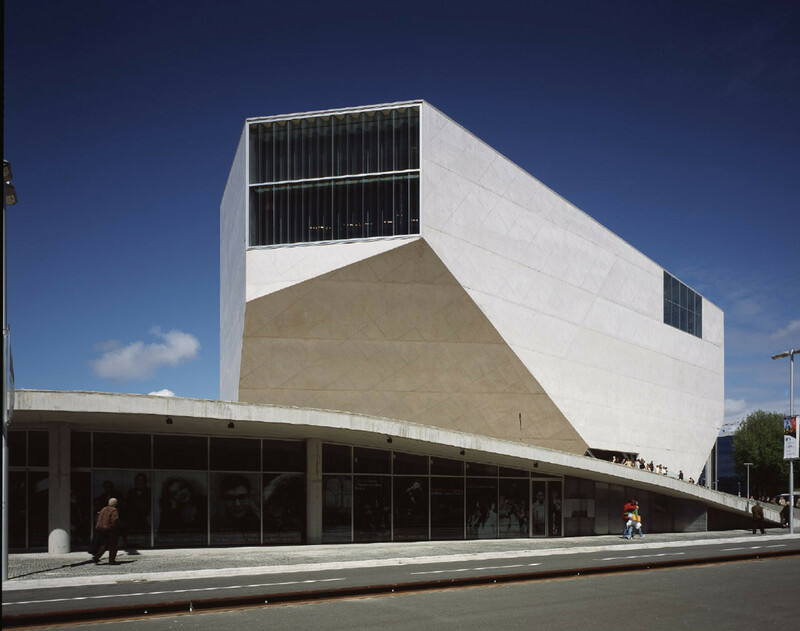 The new home of the National Orchestra of Porto, Casa da Musica, stands on a new public square in the historic Rotunda da Boavista. 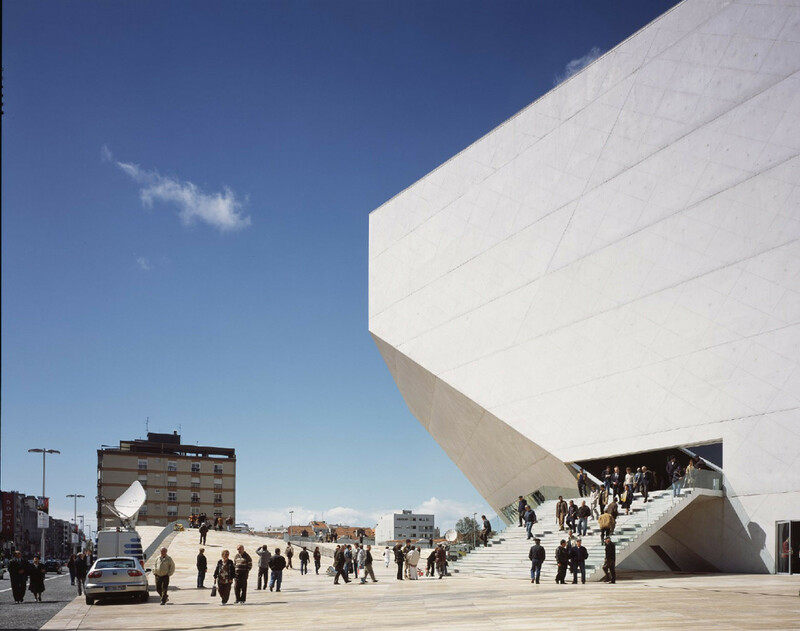 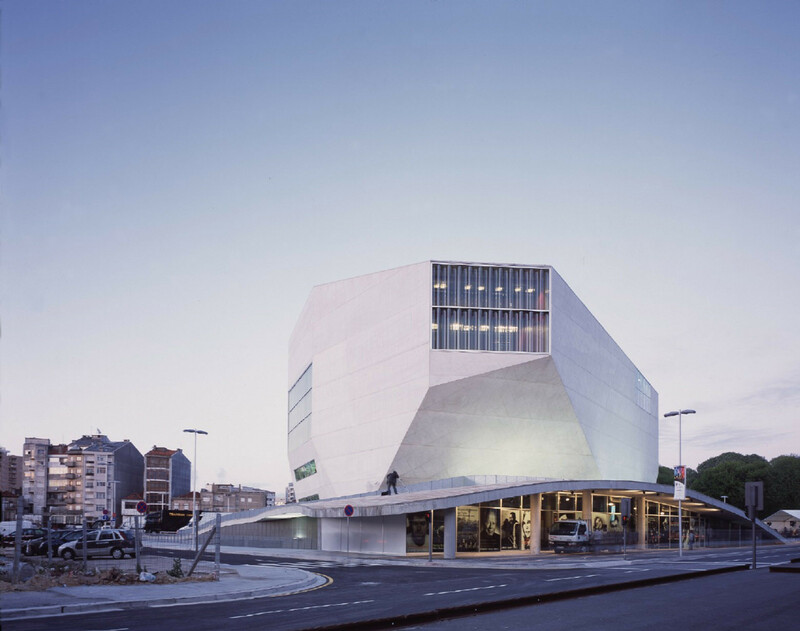 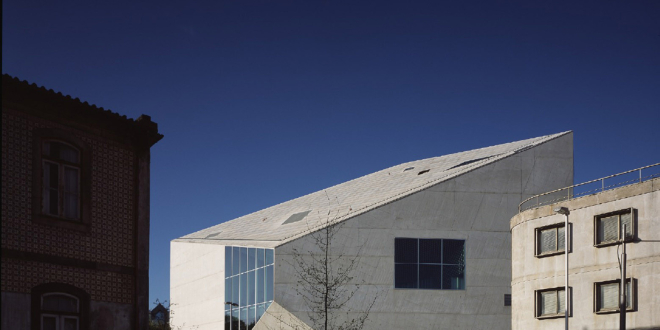 With its 22000.0 sqm and characteristic facade made of white concrete immediately became an icon in the city. 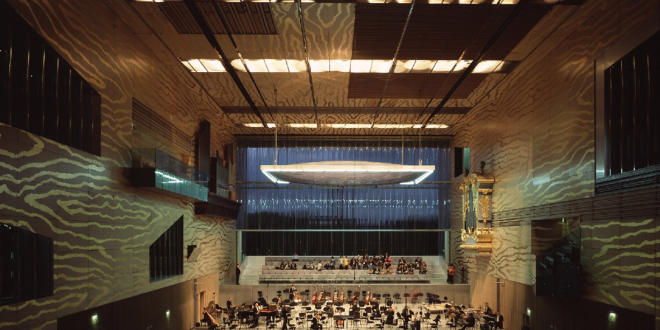 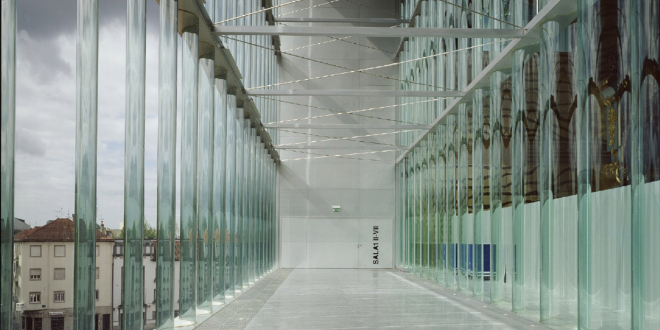 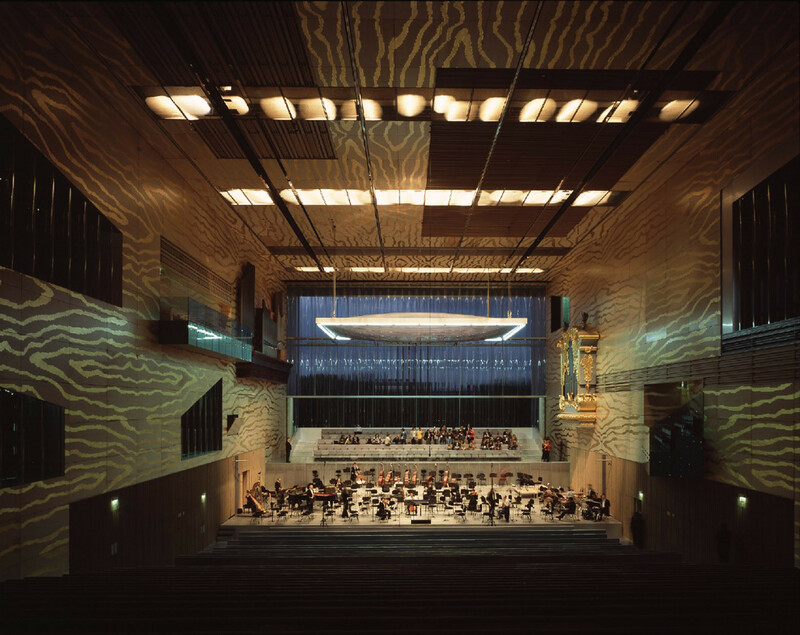 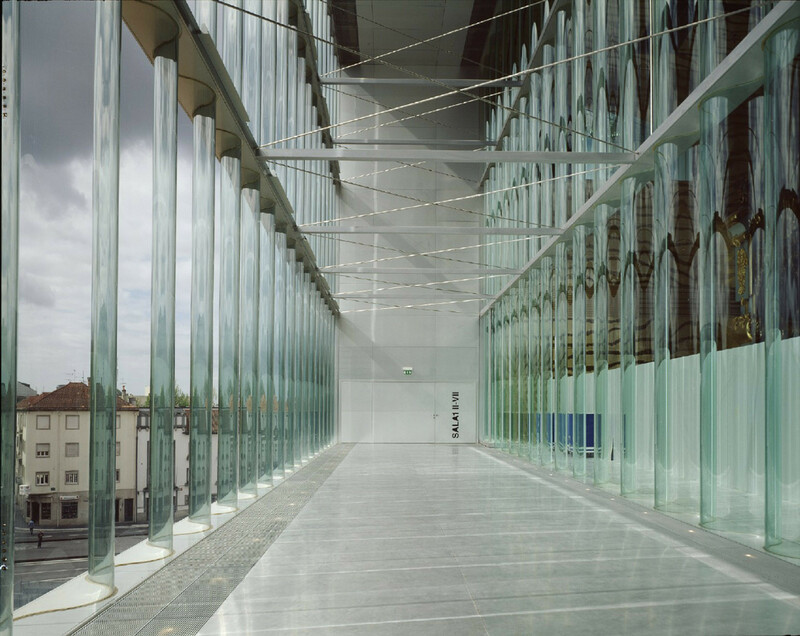 This is the only concert hall in the world with two walls made entirely of glass. 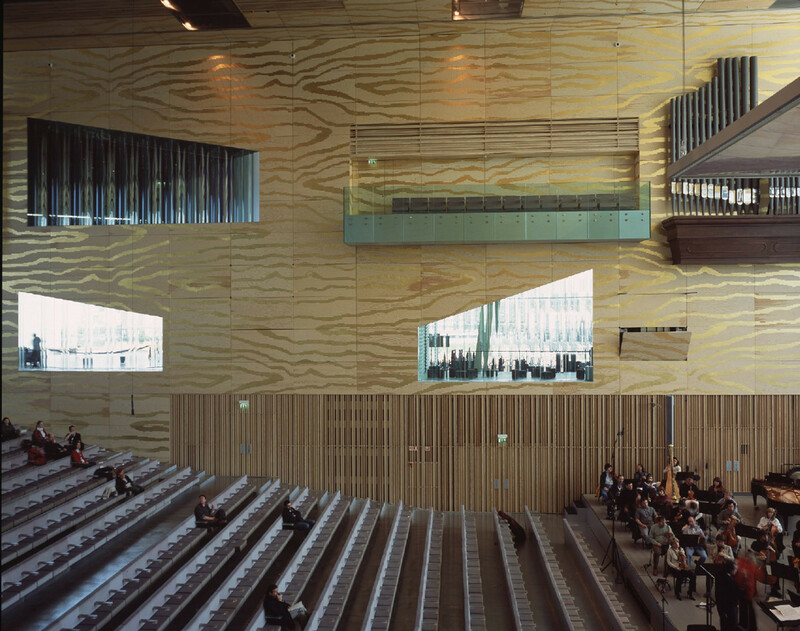 Also have 1,300-seat auditorium suffused with daylight. 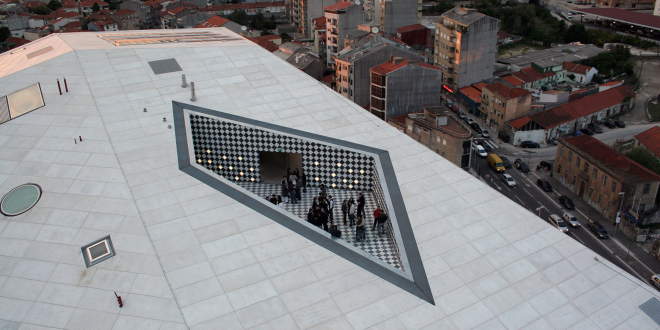 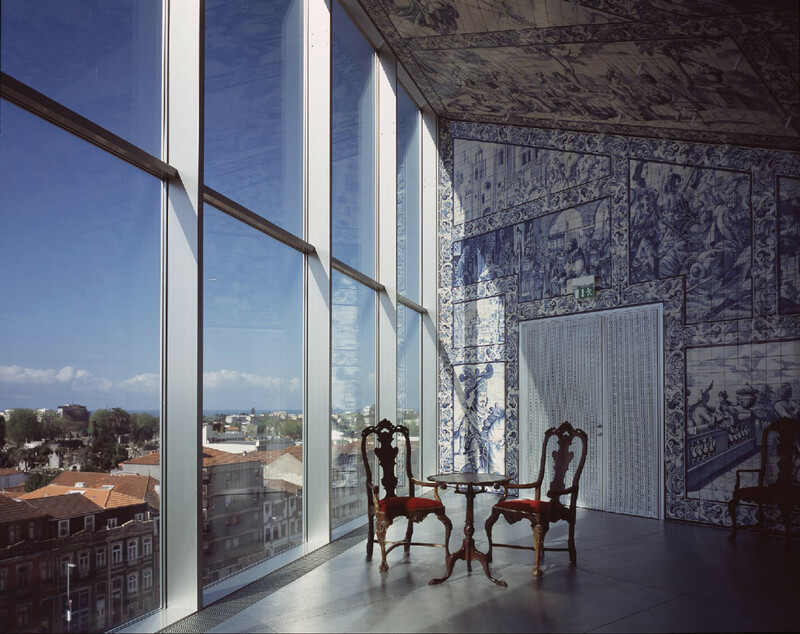 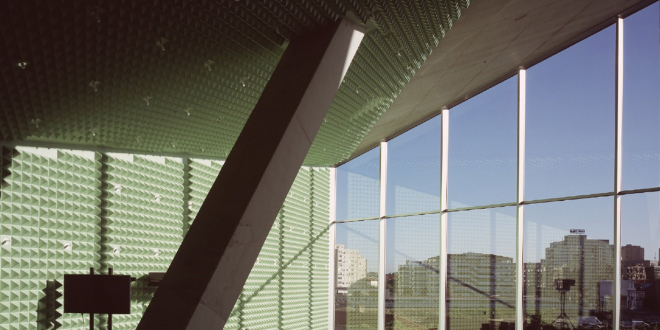 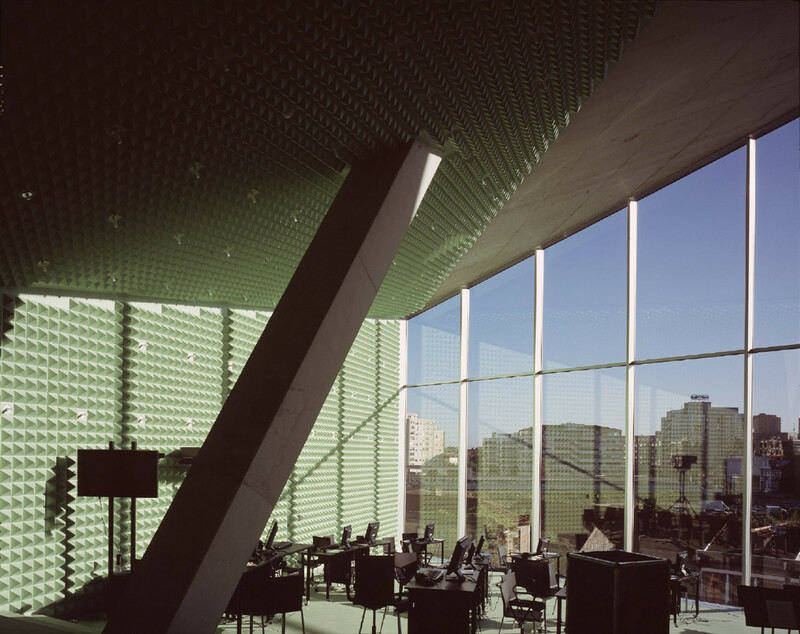 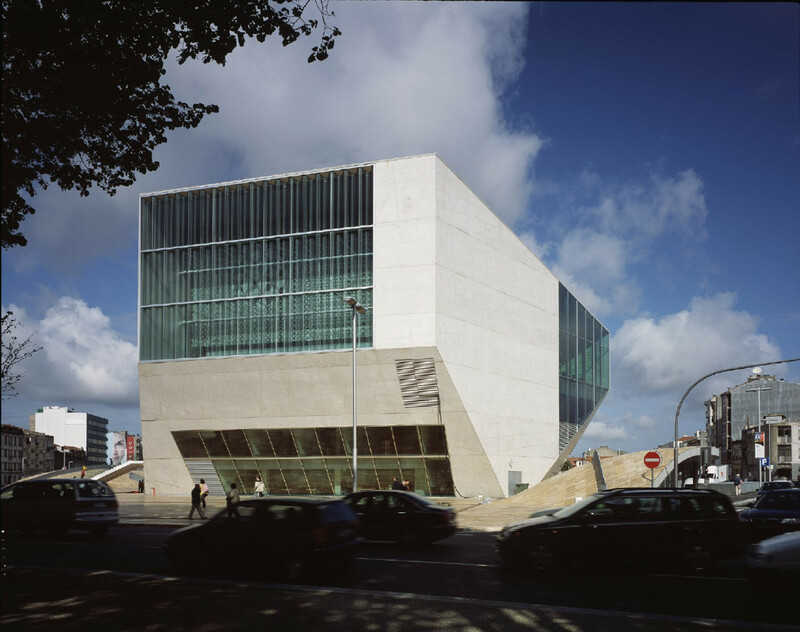 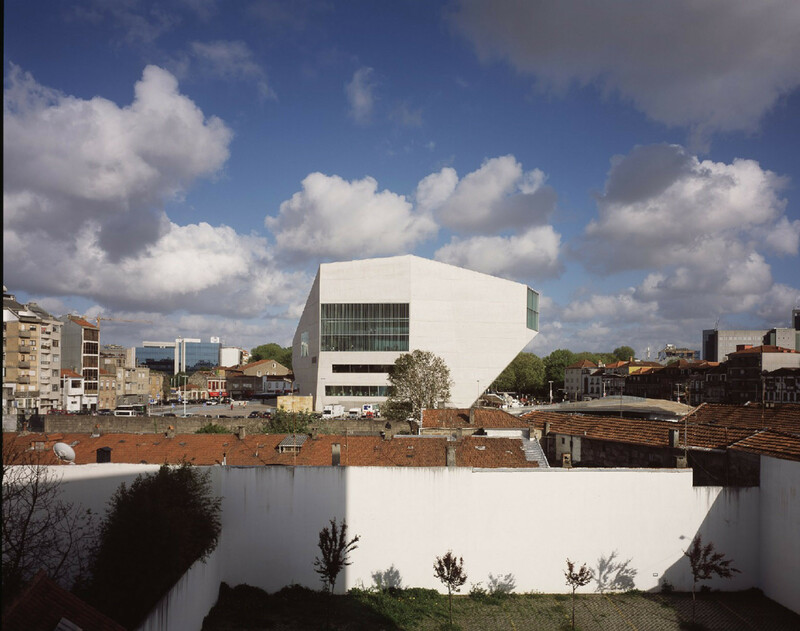 The Casa da Musica also contains a smaller, more flexible performance space with no fixed seating, many other areas who can be very easily adapted for concerts and other musical activity (10 rehearsal rooms, recording studios, an educational area), terrace, bars, a VIP room, administration areas, one of the most sophisticated restaurant in the city on the top floor and an underground car park for 600 vehicles. 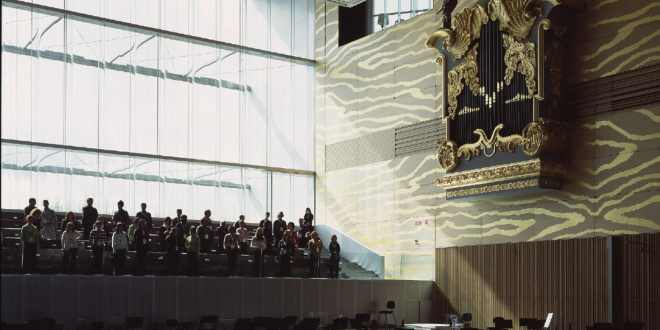 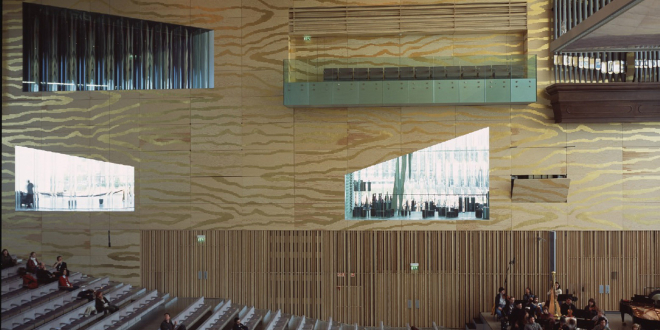 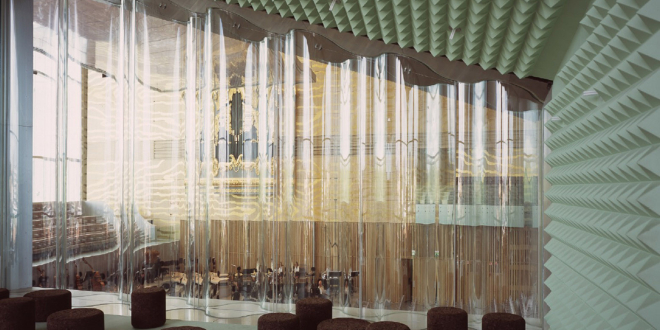 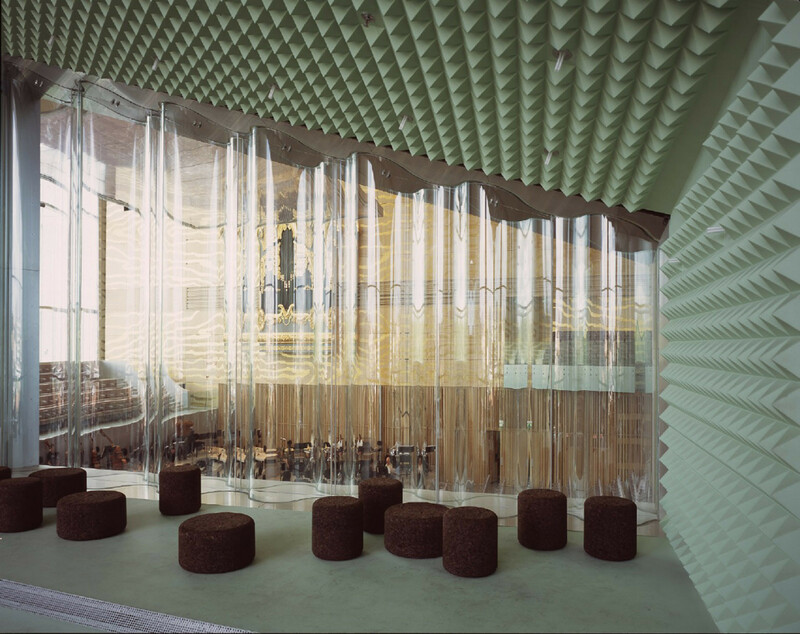 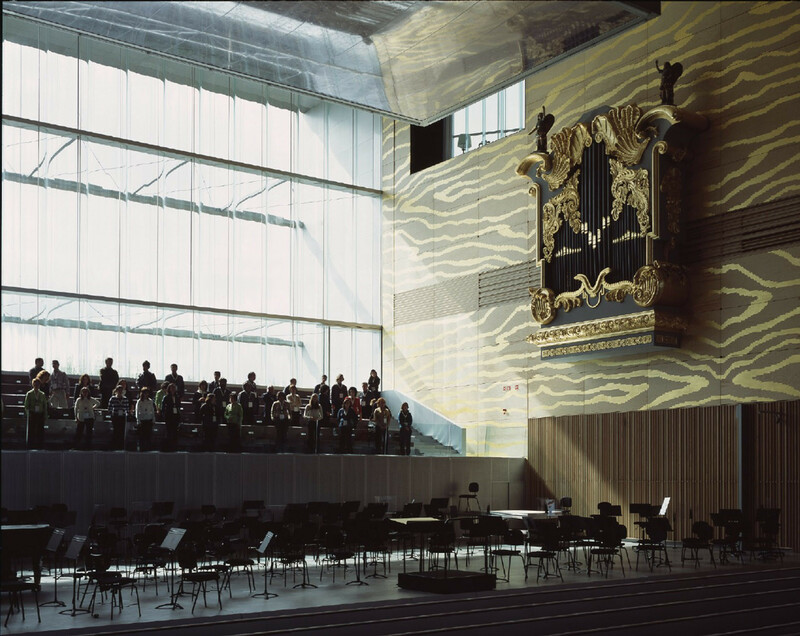 Innovative use of materials and colour throughout was another imperative: as well as the unique curtain-like glass walls at either end of the Grand Auditorium, the walls are clad in plywood with enlarged wood patterns embossed in gold, giving a dramatic jolt in perspective. 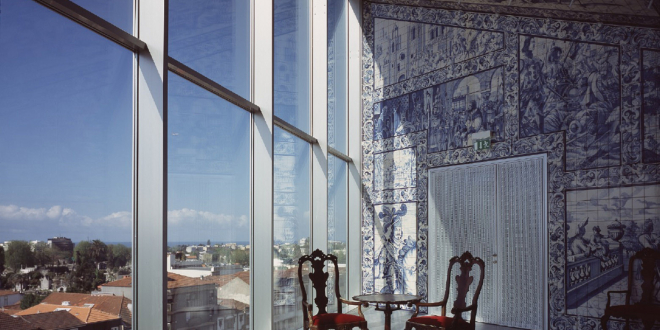 The VIP area has hand-painted tiles picturing a traditional pastoral scene and the roof terrace is with geometric black and white tile.